In May it's supposed to be warm, bright and sunny not super cold, grey and rainy. What's going on?! ?We should be wearing sundresses not rainboots. But it is as it is, so we have to make the best out of it! Even though i really want to spent my days in bed, I gotta face the rainy weather at some point eventually... so I've found myself always leaning towards the same outfit decisions: slouchy shirt dresses, thick leggins, coloful rainboots, a matching purse and a trench to wrap myself in. What's your favorite outfit to wear on a rainy day? 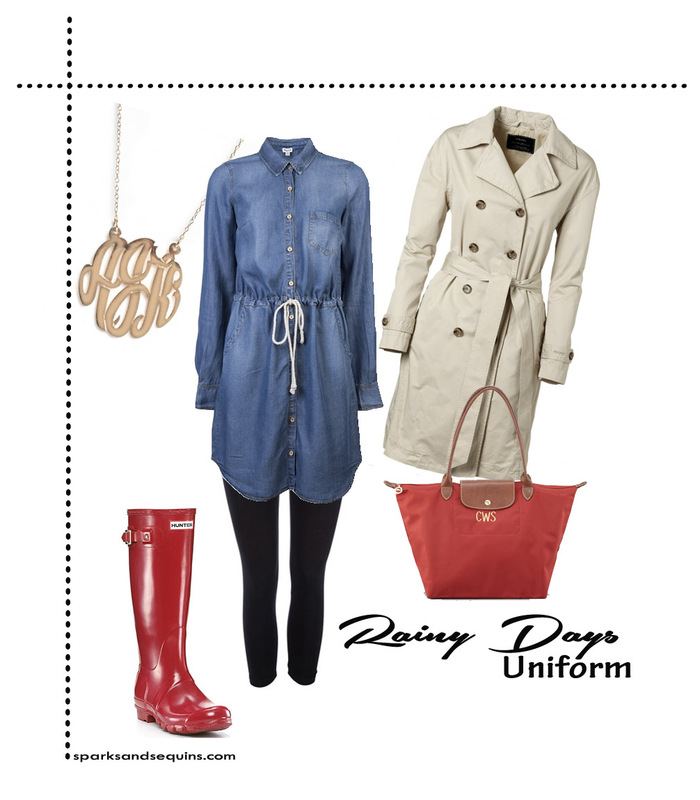 I love that trench, and I agree, that is a gorgeous rainy day outfit! YOUTUBE: What's In My Purse?